Cemetery not found on map. 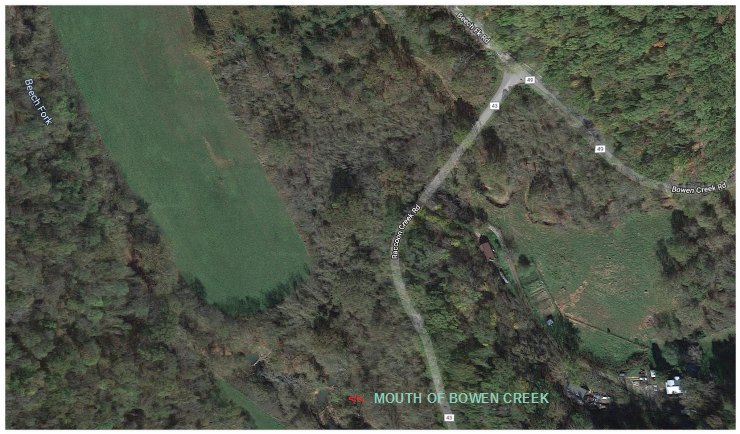 Image below shows the location of the mouth of Bowen Creek, where it empties into Beech Fork (near Raccoon Creek Rd. ).